Why Does My Cat… Knock Everything Off My Desk? 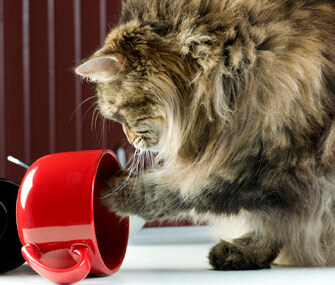 One reason cats knock over things is simply because it’s fun. As numerous hilarious Internet videos show, our cats seem to love to knock things off high places. Why do they engage in this funny – but also sometimes annoying or even dangerous – behavior?